We will have speakers about LM history, boating and lake and property management. Giselle from the Avian Wildlife Center will be here. 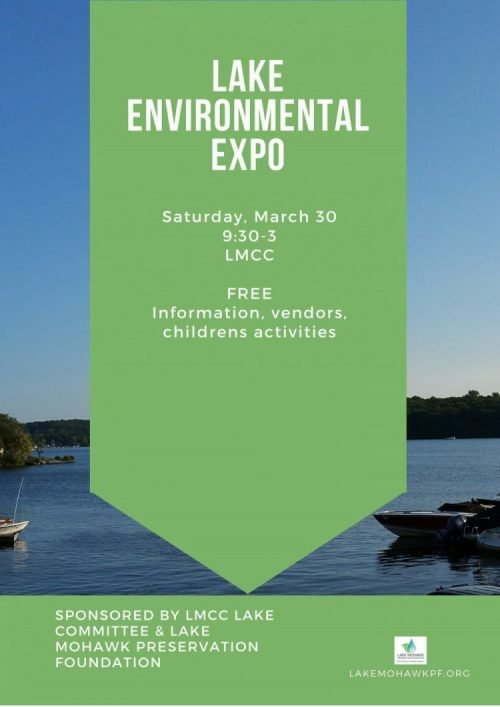 Vendors in the ballroom will include septic companies, landscapers, master gardeners, marinas. Mohawk Room - Marine Services Committee Boating Rules for Lake Mohawk, also-So you want to buy a boat? Patricia Galperin, author of "In Search of Princess White Deer"
Mohawk Room - I’m new to the community: 10 things to know about your lakes. Bill Greenlaw? East Lounge - I’m new to the community: 10 things to know about your lakes.